At Rs.2500/per adult and Rs.1250/kid (3-8yrs) inclusive of meals, barbecue, kiteflying kit, and strawberries. 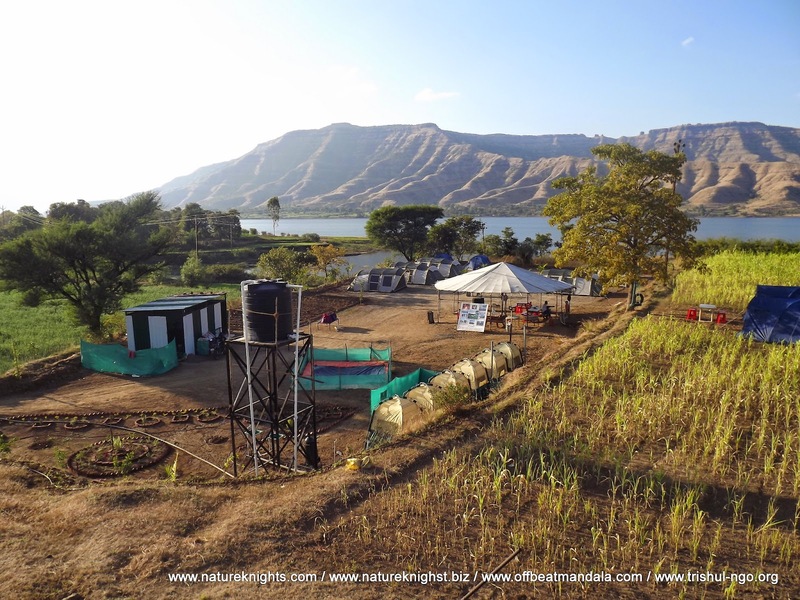 Kite Flying (We will provide kite flying kit); Rural Backdrop; Open Country Side with Hills and strawberry farms; Jalebis; Laddus, meals Authentic Rural Indian Meal / Snack; Easy Hill Trek; overnite Camping-adventure activities and Some Surprises..
16:00 Kite Flying - on the river banks, we will provide you flying kit. Lights off policy at 11.30pm, no noises at common place or in tents after lights off as it disturbs the privacy of other campers. 09:30 - 10.30 visit to strawberry farms, pluck and munch strawberries, we will gift you 1 strawberry box of 500 gms from our end. 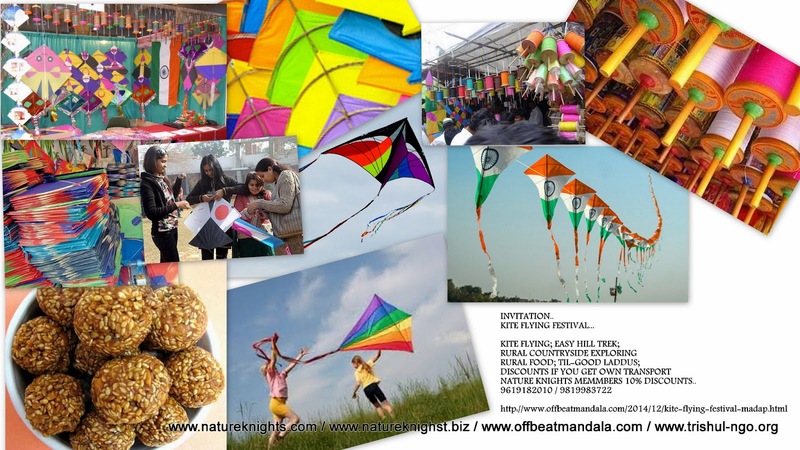 Kite Festival (Uttarayan) marks the day when winter begins to turn into summer, according to the Indian calendar. It is the sign for farmers that the sun is back and that harvest season is approaching which is called Makar Sankranti. This day is considered to be one of the most important harvest day in India. In Kite festivals there is informal competition between different citizens groups where the people all compete with each other. Many other states, Uttarayan is such a huge celebration that it has become a public holiday in India for two days. During the festival, local food such as Undhiyu (a mixed vegetable including yam and beans, in Gujarat State), sesame seed brittle and Jalebi is served to the crowds. Days before the festival, the market is filled with participants buying their supplies. The festival takes place on 14 January of each year during the Makar Sankranti and continues until 15 January. This date marks the end of winter and the return of a more clement weather for farmers of the Gujarat region. These days have also become a public holiday within the Gujarat state of India so that everyone can take part in the celebration. The symbolism of this festival is to show the awakening of the Gods from their deep sleep. Through India's history, it is said that India created the tradition of kite flying due to the kings and Royalties later followed by Nawabs who found the sport entertaining and as a way to display their skills and power. It began as being a sport for kings, but over time, as the sport became popular, it began to reach the masses. Kite flying has been a regional event in Gujarat for several years. However the first International Festival was celebrated in 1989 when people from all across the globe participated and showcased their innovative kites.